March 21 is Fragrance Day and we wanted to take a minute to talk about fragrances, because they aren’t all created equally. Fragrance is getting a lot of attention recently, and with good reason. You may already know that if you see “fragrance” listed on a label, the specific ingredients in that scent are considered proprietary and do not need to be disclosed. This means that consumers have no idea what is being added to the products they buy. The problem with fragrance is that it is difficult to limit exposure. We have all been subjected to being in close quarters with someone who liberally applied perfume or cologne or walked into a suburban room that smells like a strawberry field. With candles, cleaning products, personal care items, and even trash bags containing scented versions, exposure is becoming more frequent as Americans feel that the smell of clean and fresh is an actual scent, rather than the absence of one. The problem is becoming so pervasive that some have dubbed fragrance as “the new second hand smoke”. While it may seem like an overboard comparison, there are health risks associated with breathing in synthetic fragrances. One study found that large numbers of respondents reported symptoms after being exposed to products containing fragrance. Even people who know better can fall prey to these sneaky toxins. 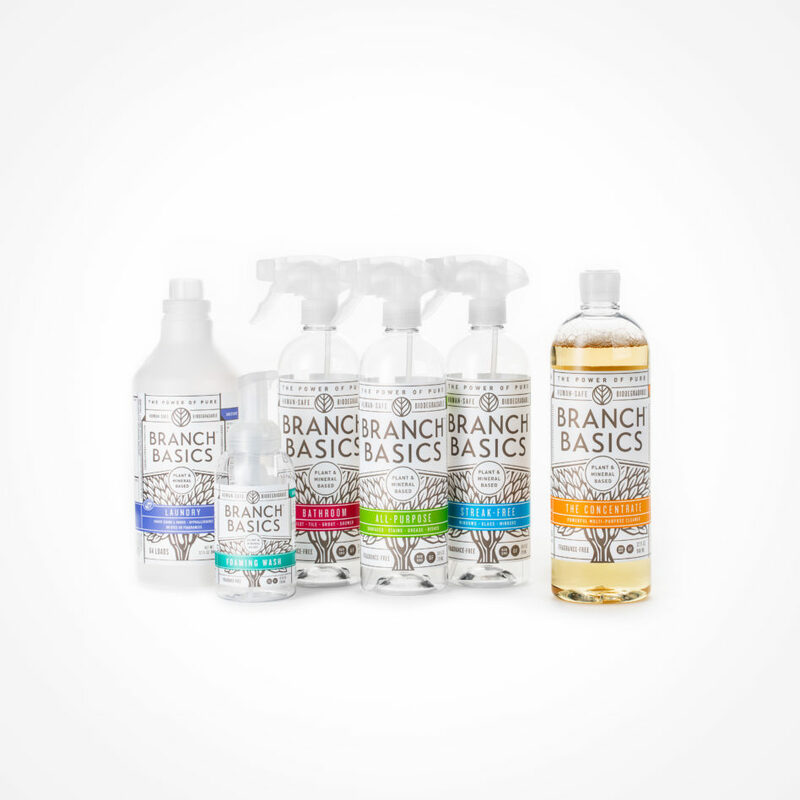 Recently, at a Kosmatology team meeting, we were brainstorming how to make a vanilla scented soap. In our heads, we all expected it to smell like a cupcake… but vanilla doesn’t smell like a cupcake. It smells good, but it doesn’t smell like vanilla mixed with flour, sugar and eggs baking in an oven. After a lot of sniffing, our noses didn’t know what they were smelling anymore, and we realized that we could not find a way to make that scent using just essential oils! There are so many vanilla cupcake smelling products out there that we actually forgot that it’s not a scent found in nature. We get emails from customers asking us to make scents they would love - like blueberry and pumpkin. But the truth is, blueberry seed oil doesn’t have much of a smell, in the same way that plain blueberries don’t have much of a scent. And if you’ve ever carved a pumpkin, you probably haven’t been blown away by it’s amazing aroma, because there isn’t one, and the same goes for the pumpkin seed oil. Sometimes, you can create a scent in one product, like a solid soap, but the scent doesn’t translate well to a liquid soap; we aren’t saying nobody can do it, it’s just not something we have found a way to do yet. So keep sending us your ideas, we always love to hear from you, but without adding artificial ingredients, we can’t make every scent that you ask for, or sometimes even the ones we intend to! But at the end of the day, we want you to know that Kosmatology products will smell just like nature intended. 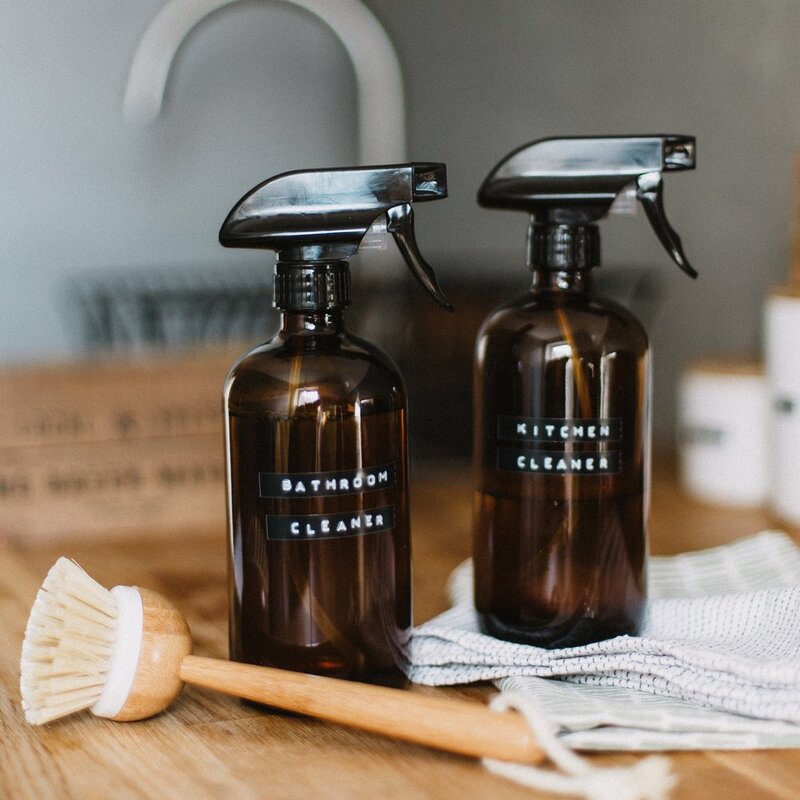 And when you are choosing cleaning products, home goods and personal care products, remember to think about what you are buying and reduce your exposure to potential toxins hiding as fragrance. Ah, Valentine’s Day. 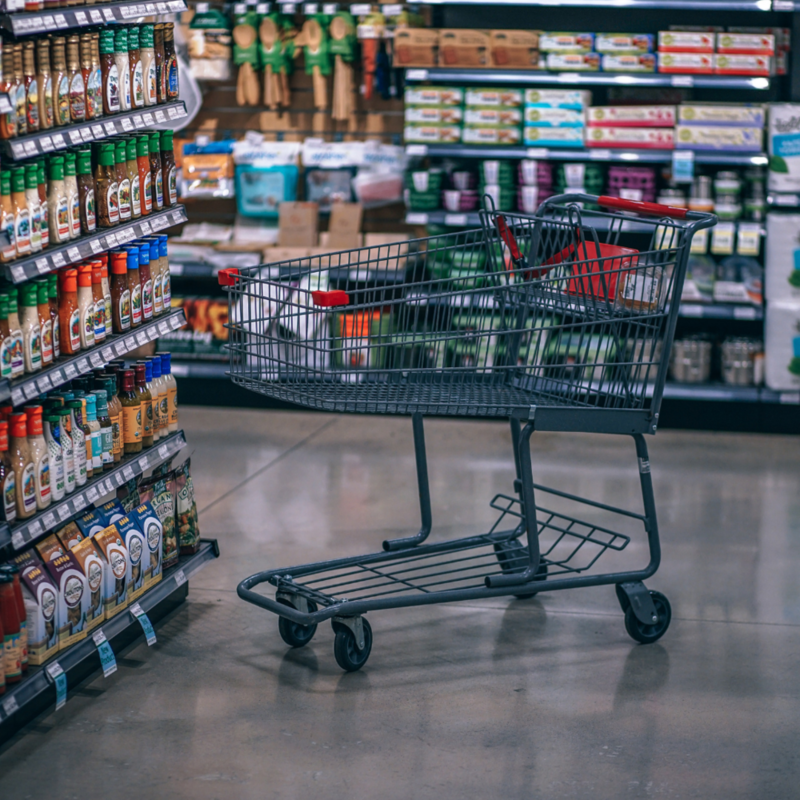 If you have an elementary or preschooler in the house, then you know that the aisles of every store are just bursting with pre-made cards that contain lollipops, pencils, or stickers for the kids to hand out to everyone in their class. Now, to be clear, I have sent those cards out, because they are easy and life gets busy. I’ve also done the cute, traditional ones where we glue stick doilies to construction paper for days! However, sometimes it’s fun to do something a little different. So, I thought I’d share my very favorite Valentines that we have ever done in my house. These are super cute, easy, reusable AND made from recycled materials! Awesome, right? 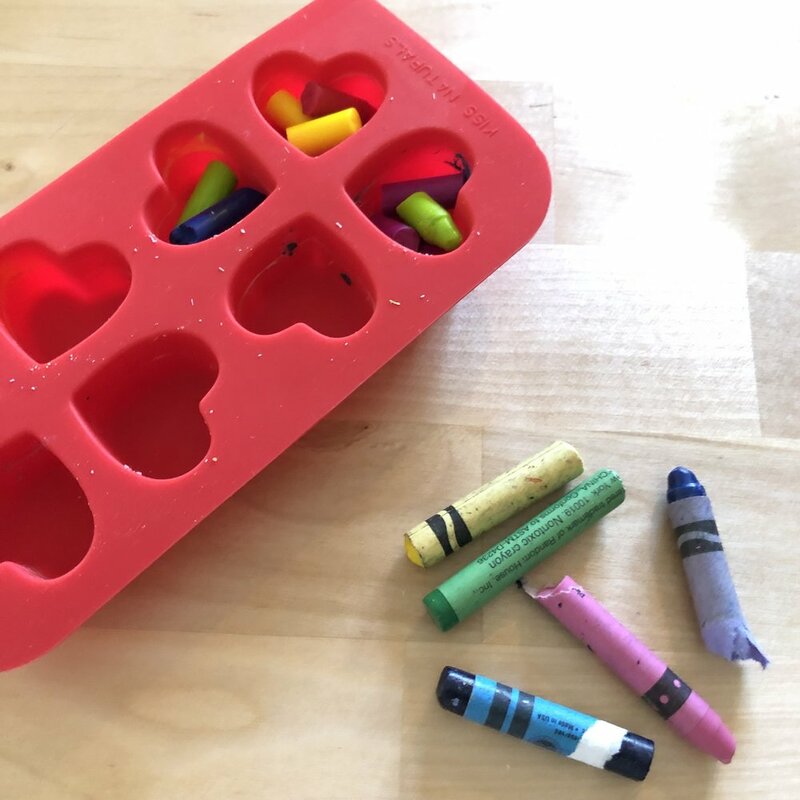 You need three things: old crayons, a mold (a silicone muffin mold or ice cube tray is ideal), and something to package your crayons so your little one can hand them out to friends. We have an arts and crafts bin that always has some spare, unloved, broken crayons at the bottom. The crayons that we get free at restaurants or the ones that just break in half, never to be used again. If you have a similar bin, pull out all those unloved pieces and start unwrapping! Preheat your oven to 175 degrees. 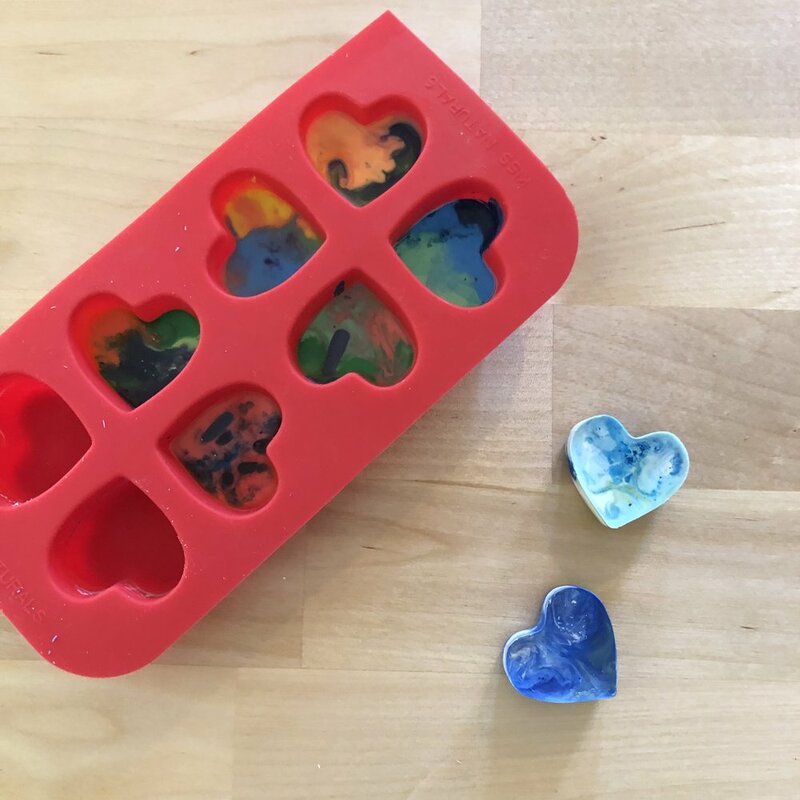 Take your molds (we actually used molds from an old bath bomb kit for the ones pictured) and start filling them with the crayon pieces that you have removed the paper from, mix those colors up and have fun, the colors will swirl as the crayons melt. Once the molds are almost full, place the molds on a cookie sheet and bake for 10-15 minutes until melted. Let them cool for about 30 minutes, and then pop them out. 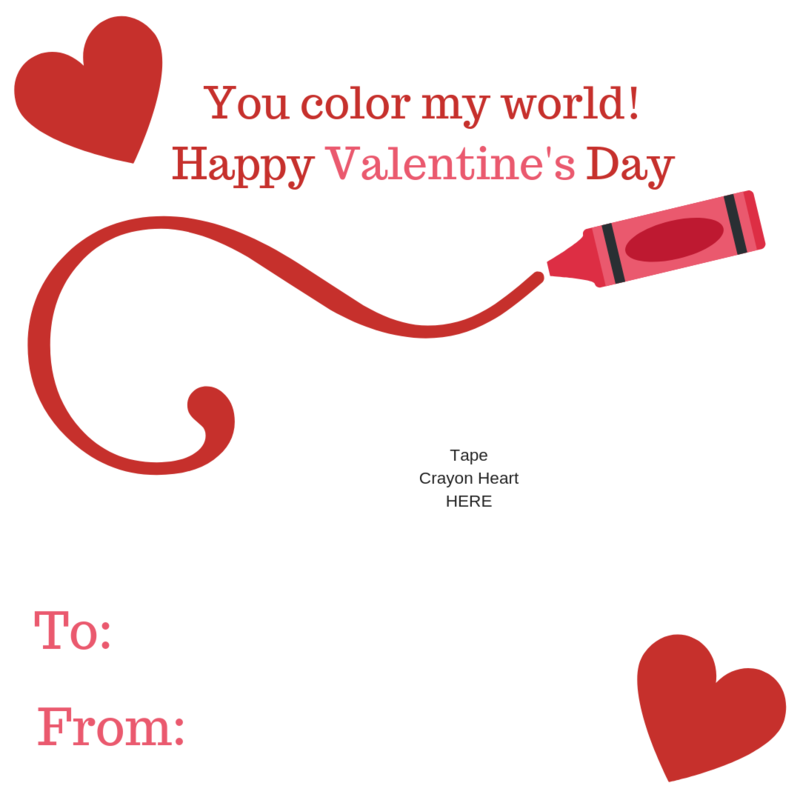 Repeat as needed until you have enough crayons and voila – the cutest little Valentines! Just for fun, we made a template for the cutest free printable labels you can print out and stick to your bag of Valentines crayons. 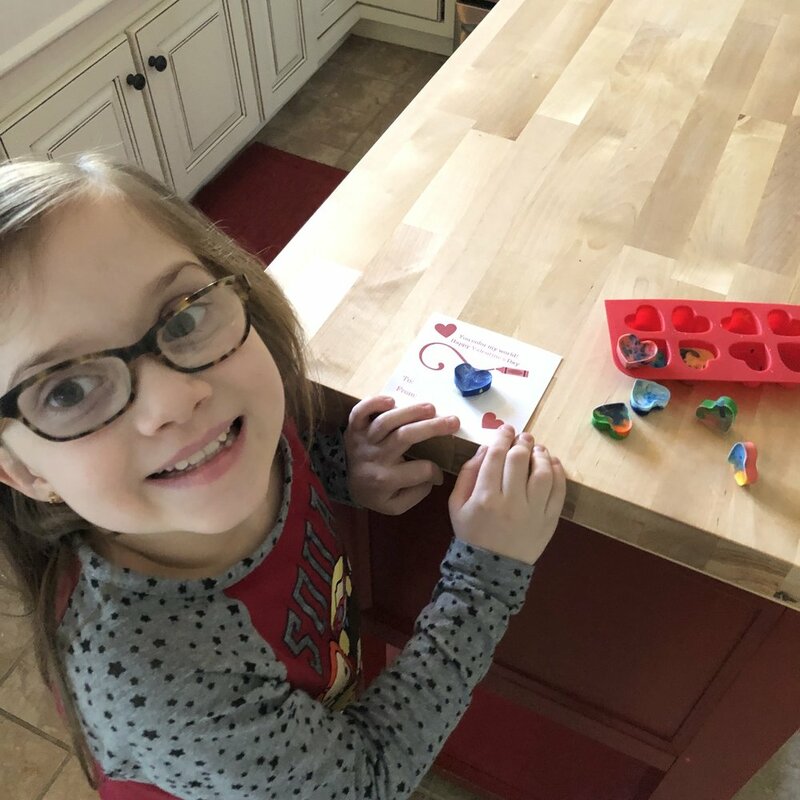 Triple win – cute Valentines for the class, you just saved some money and you cleaned out your crayon bin!